PhotoSync 2.1 for iOS release includes support for Android devices (PhotoSync for Android), a redesign in iOS 7 flat design style and two interface themes in dark (black) and light (white). 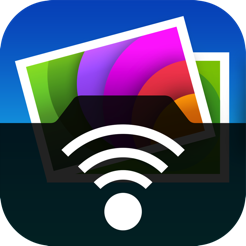 As observed on the new PhotoSync for Android website, in the PhotoSync 2.1 for iOS beta version and on the release notes of the PhotoSync Companion for Mac and for Windows updates, PhotoSync for Android 1.0 is just released and now available in the Google Play store. The PhotoSync for Android support page is already online, too. Download and install Photosync Android app from the Google Plays Store. Full support for iOS 7 and iOS 7.1 design changes. New Support for additional languages: French, Spanish, Japanese, Traditional Chinese and Simplified Chinese localization additional to English and German. Note: PhotoSync requires iOS 5 or higher. Some features are only available on iOS 6 or higher or on specific devices. FlashAir is a registered trademark(TM) of Toshiba Corporation. PhotoSync 2.1 for iOS delivers support for Android devices and a new flat design. Today PhotoSync for Android 1.0 was released, too.